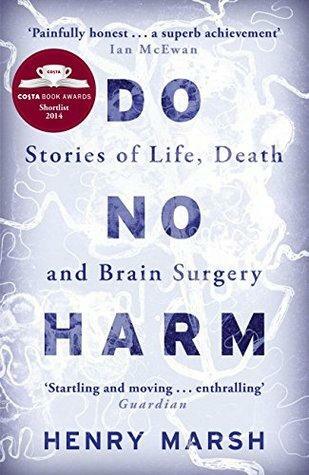 Do No Harm is a novel by Dr. Henry Marsh, a world-renowned neurosurgeon. Each chapter recounts one of his surgical cases in detail, but this book isn’t full of your typical life-saving, miracle work, Hail Mary intervention stories. Dr. Henry Marsh describes the hardships, daily struggles and not so glamorous side of the operating room. Each chapter gives a little more insight into the daily life of neurosurgeons, but most importantly each patient’s story shares a lesson. Dr. Marsh uses clinical cases to emphasize the importance of details that are often overlooked, things we take for granted or the real possibility of a lifesaving surgery going horribly wrong. He acknowledges the different surgical settings around the globe and discusses mistakes and the importance of discussing those mistakes. In one chapter, he describes a surgical case where a very large tumor at the base of the skull was affecting the patient’s brainstem and cranial nerves. The tumor was tightly intertwined with blood vessels and after several long hours of surgery, the tumor was almost completely removed. The final portion of the tumor was risky to remove so he considered leaving it, but then again if he continued, he could say he had removed it all. As a leader in his field he opted to remove the remainder of the mass despite his reservations. I won’t share the outcome of the surgery but Marsh discusses living with making these life or death decisions for others. Throughout the remaining chapters, he describes his interactions with patients, how his words will be things that patients take to heart and remember, and how sometimes it is the family that has the hardest time coming to terms with a diagnosis. One of the ideas that resonated with me the most was when he explained the responsibility of knowing when you are doing more harm than good. His patients and their families believe in him, and therefore he believes he has to help, but sometimes it is better to acknowledge he is only human. He believes that being a good surgeon involves coming to terms with potentially ruining people’s lives and making mistakes, feeling terrible about it, but persevering despite the guilt in order to do good by other patients. There are so many amazing stories in this book that despite not always having a happy ending (although there are lots of those too), the take home messages are really important and made me appreciate the finer details and put reality into perspective. This is definitely a book I would recommend to others as I was entertained and educated simultaneously.